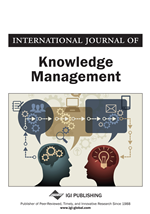 This article examines how technology transfer has operated in university-company projects undertaken in small to medium sized enterprises via the UK Knowledge Transfer Partnership scheme. It adopts a qualitative case study approach, focusing on three companies drawn from an initial review of fourteen technology transfer projects. This provides the foundation for the development of a model of 12 key factors that underpinned successful outcomes in these projects. The fourteen projects are reviewed in terms of their impact on either process change, service improvement or product development, drawing upon the post-project assessments of the funding body and the developed model. Findings suggest that using new technology to innovate internal processes and services is likely to prove more successful than projects focusing on new product development. The model provides an analytical framework that will be of interest and value to academics and business practitioners looking to develop university-industry partnerships involving technology change and innovation. In the same year that Chesbrough discussed and defined the open innovation concept, the UK Department of Trade and Industry (DTI) specified a range of products for promoting and enabling knowledge transfer and innovation, in particular to support technology transfer to SMEs (DTI, 2003). One of these products is the KTP scheme, which provides direct financial support for graduates to undertake specific technology transfer projects in firms of all sizes, but particularly in SMEs, which are defined in a European context as having less than 250 staff (European Commission). Interest in technology transfer, and more generally knowledge transfer (KT), and its role in promoting economic growth and job creation has been growing for over two decades in the UK. Hardhill and Baines (2009, p. 82) noted that “since 1993 the promotion of knowledge transfer to maximise public investment has been a recurrent theme in UK policy documents”, and the Lambert Review of Business-University Collaboration acknowledged the scale of public investment on teaching and research within the UK’s universities, and formally endorsed the belief that “transferring the knowledge and skills between universities and business and the wider community increases the economic and social returns” (Lambert, 2003, p. 31). More recently, the Sainsbury Review of the UK Government’s Science and Innovation Policies identified “knowledge transfer activity as an important way to make the most of publicly funded research and to increase innovation in business and public services” (Department for Innovation, Universities and Skills, 2007, p. 60). In particular, the review recommended greater government financial support for business facing universities and increasing the number of KTPs.